Commonly referred to as the “Father of Chemistry,” Robert Boyle was one of the most influential scientists of his time. His vast knowledge and influence in chemistry has been recognized for a long time. Besides his work in chemistry, Boyle also made other contributions to science in the area of physics. Boyle was born in Lismore Castle, Ireland, and was the youngest son of Richard Boyle and Katherine Fenton. His father Richard, accumulated wealth in Ireland and was a highly respected figure in the country. Robert Boyle displayed a scholarly disposition from a young age. After his early education in Ireland, he was sent to Eton College in England. At 11 years old, he was sent around Europe for a tour that lasted for six years. In 1649, he returned to Dorset, England, where he began writing. He then set up a laboratory three years later and started to write scientific work. It was at this time that he expressed the importance of the use of experiments in science. He then moved to Oxford in 1655, where he joined a group of philosophers who established the Royal Society. Another famous scientist, Robert Hook, entered into Boyle’s life during this time and aided him in experiments. It was here that they came up with an air pump that was used to create vacuums, with Boyle carrying out several trials to elucidate the importance of air and also its nature. Boyle then demonstrated the importance of air for breathing and for combustion as well as for sound transmission. Before Boyle moved to London from Oxford in the year 1688, he published some of his work including: The Spring and Weight of Air (1660), New Experiments Physio-Mechanical, and The Sceptical Chymist (1661). He continued to carry out many experiments that helped him understand the relationship between the volume and pressure of gas. This resulted in Boyle’s Law that states, when temperature is held constant, the volume of gas is inversely proportional to pressure. 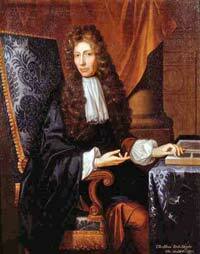 Robert Boyle also carried out several tests on gold, silver and copper. He also tested for the presence of salt in water using silver nitrate and it is here where he devised a test for mineral-water analysis. During that time, many people believed that salt and water elements could not be broken down any further. He was largely opposed to these ideas and other basic element theories. In 1680, he was offered the presidency of the Royal Society, but he declined on the basis of his religion. Robert Boyle never married and he lived with his sister Katherine. He died at the age of 64 in 1691 in London.